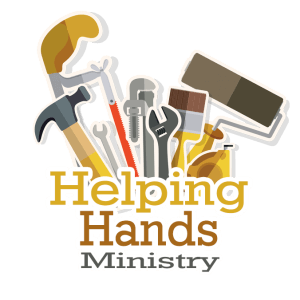 Helping Hands is a ministry that comes alongside single parents, widows, senior citizens and those struggling to make ends meet in an effort to meet practical needs. As needs arise, volunteers come together to complete basic home repair and maintenance items. If you have a home care need call the church office at (209) 634-4935 or email daven@montevistachapel.org. Volunteer to use your unique God-given abilities to minister to others in need. Helping Hands is a ministry that was formed to help care for the practical needs of the church body, primarily single parents, low-income, and the elderly. Our vision is to develop a community of believers committed to love God with our whole being and others as ourselves. What kind of jobs will Helping Hands do? Helping Hands will take on small jobs that can be completed by a team of volunteers in one day. Leaking faucets, painting, weeds, consulting regarding a problem, etc. Join a growing group of volunteers that have a heart to serve God by serving others.